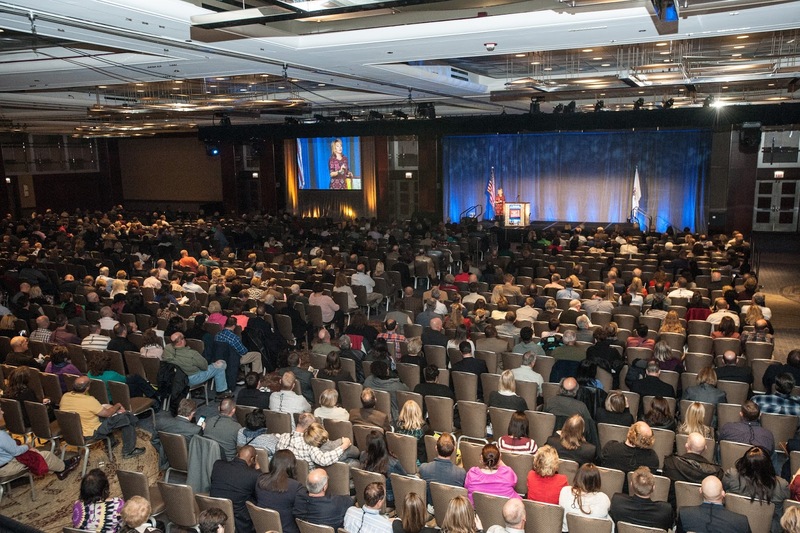 The 2015 Joint Annual Conference is a fresh memory, but it is not too early to begin thinking about the 2016 Conference. School districts and related education organizations are being invited now to submit their proposals for “Share the Success” panel presentations. 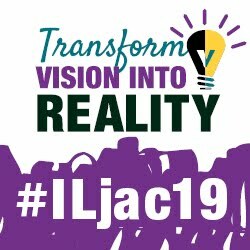 Districts interested in sharing their success stories at the 2016 Joint Annual Conference are invited to submit proposals online now. Districts can also download a PDF version of the RFP form and submit by mail or fax. All proposals are due by February 12, 2016. Click here for more information, and to access both versions of the RFP form. The following are editorials, commentaries, and opinions from various sources regarding public education, collected in December 2015. Click on each headline to read more. Twenty-seven winners have been drawn from the entries into the 2015 Service Associates bingo game. Bingo cards were included in the Conference program. Players visited 16 Service Associate booths to have bingo squares stamped by each participating exhibitor. Of the fully stamped entries, 27 winners were drawn at random on Nov. 22. Each won a $75 Visa Gift Card, which was mailed in mid-December. The sponsor, IASB Service Associates, is comprised of businesses that offer school-related products and services. Each has earned a favorable reputation for quality and integrity and been invited to become a Service Associate by the IASB Board of Directors. Four names were drawn in the raffle for the LeaderShop Online Learning Center. This promotion was held in the IASB Information Room during the 2015 Joint Annual Conference. These board members will receive free registration for one Online Learning Center course and may choose from the following: Open Meetings Act Training, PDLT/PERA, Bullying Prevention, School District Labor Relations, Parliamentary Procedure, Superintendent Evaluation, and Media Relations. 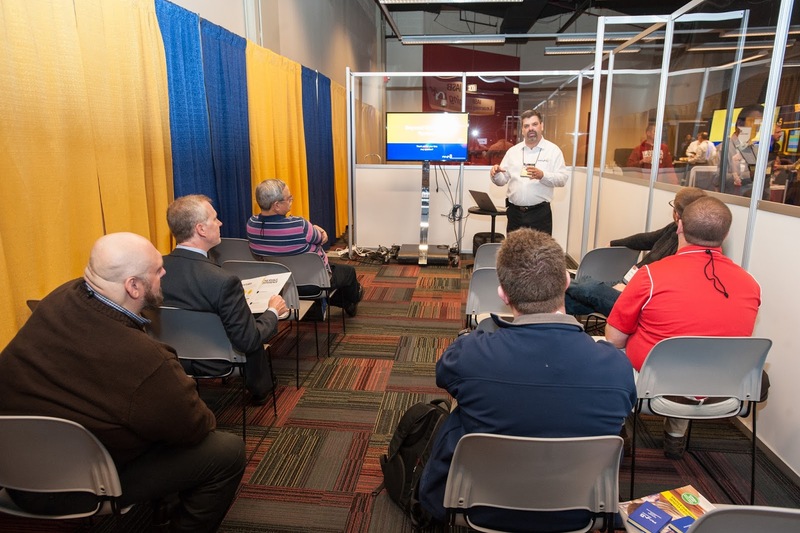 The winning entries were drawn randomly from among the more than 800 people who visited the IASB Information Room (Comiskey Room, Hyatt West Tower) on Friday and Saturday of the Conference. Click on these links for more information about the LeaderShop Online Learning Center, course descriptions, and how it works . Click to see the lists of winners. 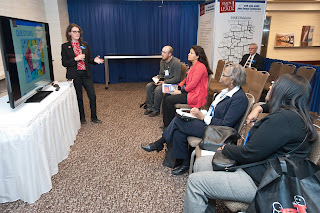 Mini Clinics -- presentations featuring IASB staff members explaining and demonstrating a wide variety of Association member services -- were a new feature at the 2015 Joint Annual Conference. 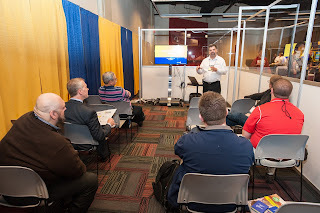 Hosted by IASB on Friday and Saturday in the Comiskey Room, the Mini Clinics featured 20-minute interactive presentations and conversations. Office of General Counsel on "Meet the PRESS editors" and the Legislative PRESS issue. 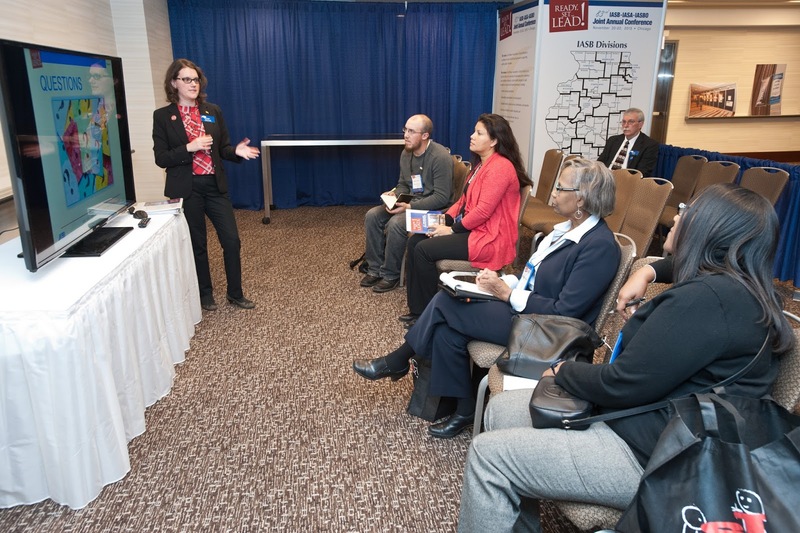 By now, many school board members and school leaders know what community engagement means because they have attended workshops or panel sessions, or read about IASB’s research and professional development on this critical governance topic. For those who haven’t or who may be new to the school board, IASB has also developed an introductory video. Available on the Association’s YouTube page, this 3:09 message is a brief overview of community engagement work as it relates to IASB’s Foundational Principles of Effective Governance. 2015 Joint Annual Conference attendees have the opportunity to help IASB improve future conference programming by completing an online survey. Click here to access the survey. There are two sections and a total of 35 questions on this survey. Section I deals with the overall conference experience, including registration, housing, conference facilities, and the exhibit hall. Section II asks opinions about specific conference sessions and activities. The survey is available until December 31, 2015. 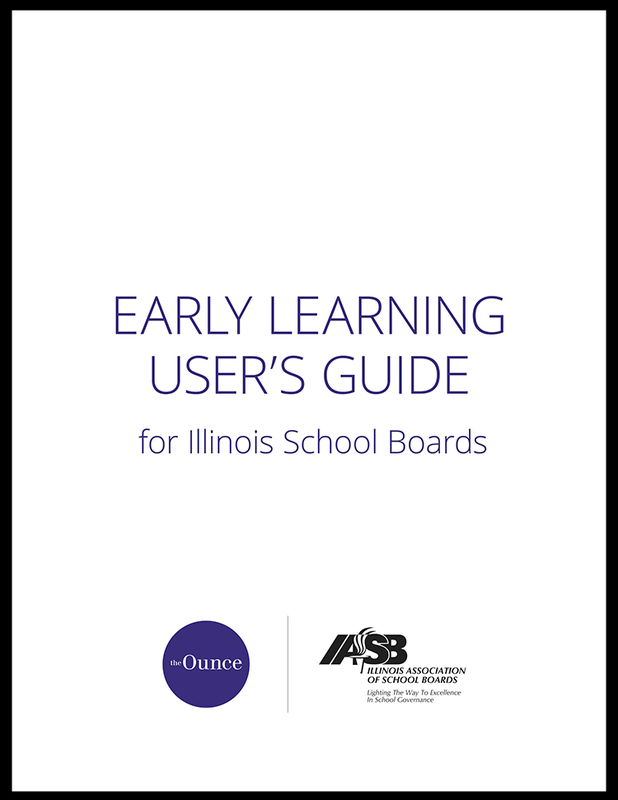 The Illinois Association of School Boards and Ounce of Prevention Fund have collaborated on a document designed to provide school board members with the information necessary to guide their districts’ early learning efforts. The Early Learning User’s Guide for Illinois School Boards includes an executive summary and 30-page booklet focusing on early learning from a local governance perspective. These documents were presented at the 2015 Joint Annual Conference and mailed to member school board presidents and superintendents. The User’s Guide is also available online in PDF and digital formats. Both the Ounce and IASB consider community engagement an important part of developing and maintaining early learning best practices. School boards are responsible for ensuring that all children in their districts succeed. This guide offers methods and resources for early learning best practice, with the goal of improving long-term student achievement, Eddy concluded. The awards were presented on Friday, Nov. 20, at the 2015 Joint Annual Conference in Chicago. 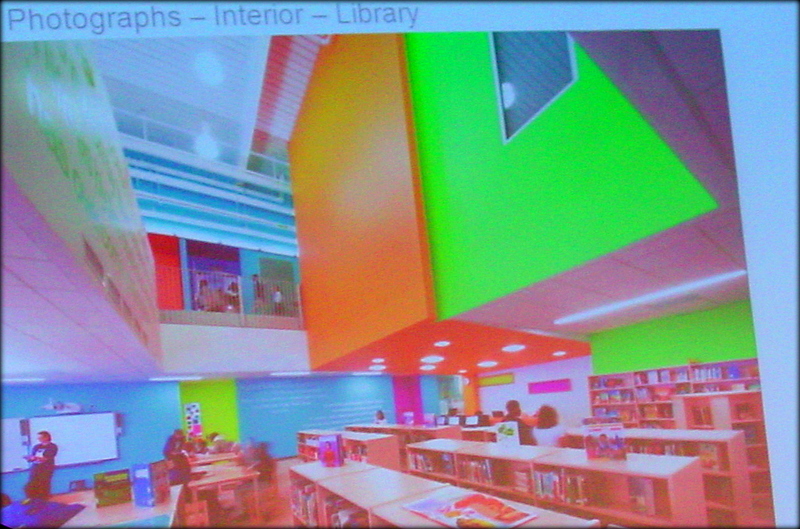 Winning projects were selected by a blind-jury pool of architects and superintendents Sep. 21. In addition to the two Award of Distinction winners, the jury chose three projects for Awards of Merit and three Honorable Mention recipients. All 23 entries in this year’s exhibit were on display throughout Conference. June Wilkey-Isselhardt, executive administrative assistant to the superintendent and board secretary of O’Fallon Community Consolidated School District 90, is the recipient of the seventh annual Holly Jack Award for school district secretaries. 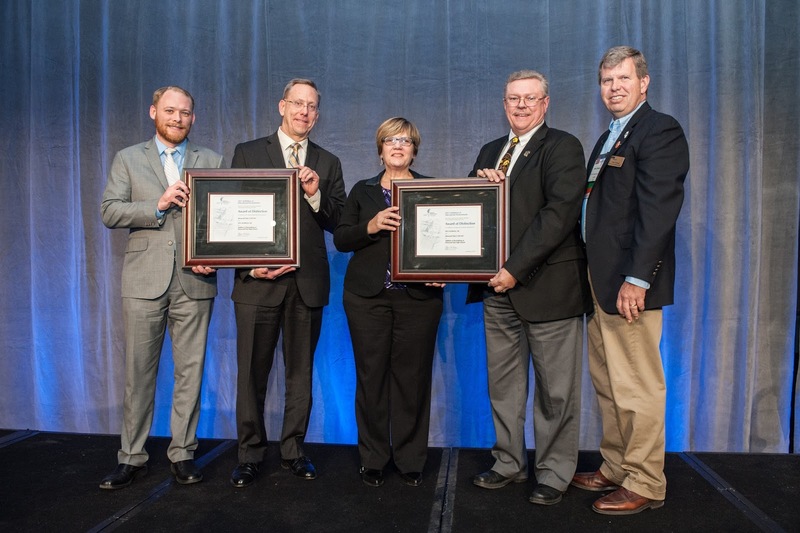 The Holly Jack Award recognizes the demanding work of school district and board secretaries. Nominees must demonstrate performance, initiative, innovation, staff development, self-improvement, passion, and dedication. Click here to read more about Wilkey-Isselhardt and the 2015 Holly Jack Outstanding Service Award. John Smith, president of the Meridian School District 223 Board of Education, was named the winner of the 2015 Thomas Lay Burroughs Award. The Illinois State Board of Education’s (ISBE) John Sanders presented the award to Smith. The Burroughs Award, created in 1991, is given annually for extraordinary educational leadership at the local level. 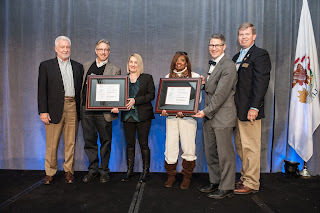 Specifically, the award honors leadership on behalf of improved student learning and educational excellence; in resolving a crisis or major difficulty; and on behalf of equal education opportunities. Click here to read more about Smith and the 2015 Thomas Lay Burroughs Award. Judy Hackett, of the Northwest Suburban Special Education Organization (NSSEO), selected as the 2016 Illinois Superintendent of the Year, was honored at the Joint Annual Conference in Chicago. The honoree is chosen annually by the Illinois Association of School Administrators (IASA). IASA President Jane Westerhold introduced Hackett by noting her numerous accomplishments and achievements. Westerhold spoke to Hackett’s ability to create partnerships with other districts to collectively focus on student services. Click here to read more about Hackett and the 2016 Superintendent of the Year Award. Terrie S. Simmons, school business administrator at Gurnee School District 56, was recognized as this year’s Ronald E. Everett Distinguished Service Award honoree. The award, presented annually by the Illinois Association of School Business Officials, “honors diligence, superior performance and service to the school business public.” Simmons, who is immediate past president of the American School Business Officials (ASBO) International, was honored for her many years of service to Illinois schools. Click here to read more about Simmons and the 2015Ronald E. Everett Distinguished Service Award. The awards were presented at the 2015 Joint Annual Conference in Chicago. New laws on student-athlete concussions and on civics education, posing difficult deadlines for schools and students alike, will not take effect during the current school year as originally adopted. Both have been delayed, thanks to a strong push by the Illinois Statewide School Management Alliance. Early versions of Public Act 99-0434, which required the completion of a semester of civics education prior to graduation, and Public Act 99-0245, with a number of new requirements regarding student-athlete concussions, were set to take effect during the current year. Both laws were signed in August. Recent approval of two follow-up bills will delay the effective date of both laws until the 2016-2017 school year. The postponement of the civics requirement is intended to give students approaching graduation enough time to accommodate the new prerequisite course. Meanwhile the concussion mandate deferral will ensure that districts have the time necessary to meet all the requirements, and have the proper resources, training, and staff to remain compliant with the law. House Bill 800 was signed by Governor Rauner on Nov. 20. The legislation will allow for a gradual phase-in of the civics graduation requirement beginning on July 1, 2016. The law originally called for students graduating during the current 2015-2016 school year to complete the new credit. The expedited deadline penalized current students nearing graduation as they would be forced to adjust existing schedules to accommodate the new mandate, or face the possibility of not graduating on time. Also signed on Nov. 20 was Senate Bill 219, which postpones the effective date of most provisions within the Youth Sports Concussion Safety Act. The requirements in the Concussion Act will now need to be in place by the start of the next school year. The concussion safety guidelines are aimed at school districts properly addressing medical concerns that may arise after a student athlete suffers a concussion or head injury. They contain protocols for actions that need to be taken after such an injury, and also before the student is allowed to re-enter the classroom. The provisions require specific action by local boards of education to appoint a concussion oversight team that must meet certain qualifications, as well as training of school district personal involved with interscholastic activities. IASB has developed a checklist to aid districts in meeting the necessary requirements that schools must adhere to under the Youth Sports Concussion Safety Act. Additional resources, newly posted in December 2015, are available on the IASB website to assist district staff in addressing concussion and head injury precautions.